When I had first saw the poster for “STARDUST” three years ago, I could not drum any interest in seeing it.In fact, my interest remained dormant after viewing the trailer. Just today, someone had suggested that we see it, considering there was no other movie in the theaters we were interested in seeing. I said “no thanks”. It did not end there. This “someone” literally had to coerce me into seeing the film. And you know what? I am glad that he did. Based upon Neil Gaiman’s novella and directed by Matthew Vaughn, “STARDUST” told the story of a young 19th century Englishman named Tristan Thorne (Charlie Cox), who became involved in a series of adventures in magical kingdom located beyond the wall of his hometown of . . . Wall. His adventures resulted from his love of a young neighbor named Victoria (Sienna Miller) and his desire to find and retrieve a fallen star named Yvaine (Claire Danes) in order to prove his worthiness as a future husband. Tristan had no idea that his mother (Kate Magowan) was not only a citizen of this magical kingdom, but also a royal princess who was enslaved by a witch named Ditchwater Sal (Melanie Hill). He did not realize that his two surviving uncles – Prince Septimus (Mark Strong) and Prince Primus (Jason Flemyng) – were in search of a ruby that would give either of them the throne to the kingdom. A ruby that had caused Yvaine to fall from the sky and ended up being worn by her. And Tristan was also unaware of a witch named Lamia who seek Yvaine. With the latter’s heart carved out, Lamia and her two sisters would be able to regain their youth and power. I will go any further into the story, because it is simply too damn complicated. But it is not confusing. Trust me, it is not. But I do feel that in order to know the entire story, one would simply have to see the film. I have never read Gaiman’s novella, so I have no idea how faithful Jane Goldman and director Matthew Vaughn’s script was to the story. But I do feel that Goldman and Vaughn’s adaptation resulted in an exciting, yet humorous tale filled with surprisingly complex characters and situations. The acting, on the other hand, was first-class. It could have been easy for Charlie Cox and Claire Danes to fall into the usual trap of portraying the leads, Tristan and Yvaine, as a pair of simpering and and over emotional young lovers – a cliche usually found in many romantic fantasies over the years. Instead, Cox and Danes seemed to be having a good time in portraying not only the ideal personality traits of the two lovers, but their not-so-pleasant sides through their constant bickering and mistakes. Vaughn filled the cast with some of his regulars like the always competent and dependable Dexter Fletcher and Jason Flemyng, along with Sienna Miller, who did a surprisingly good job of portraying Tristan’s bitchy object of desire, Victoria. Mark Strong was excellent as the ruthless and sardonic Prince Septimus. Robert DeNiro did a surprising turn as Captain Shakespeare, a flaming drag queen who pretends to be a ruthless and very macho captain of a pirate ship in order to maintain his reputation. DeNiro was very funny. But by the movie’s last half hour, the joke surrounding his deception threatened to become slightly tiresome. But the movie’s true scene stealer turned out to be Michelle Pfieffer as the evil and treacherous Lamia, the oldest and most clever of the three sister witches. At times seductive, funny, malevolent and creepy, Pfieffer managed to combine all of these traits in her performance, allowing her to literally dominate the movie and provide one of the most creepiest screen villains to hit the movie screens in the past decade. Margaret Hamilton, look out! As much as I had enjoyed “STARDUST”, I had a few problems with the movie. I have already pointed out how the joke surrounding Captain Shakespeare’s sexual orientation threatened to become overbearing. I also found the movie’s running time to be a bit too long. This problem could be traced to an ending so prolonged that it almost rivaled the notoriously long finale of“LORD OF THE RING: RETURN OF THE KING”. And the fact that the movie’s style seemed to be similar to the 1987 movie, “THE PRINCESS BRIDE”, did not help. Another problem I found with the movie was its “happily ever after” ending that left me feeling slightly disgusted with its sickeningly sweet tone. But what really irritated me about “STARDUST” was Jon Harris’s editing. It seemed so choppy that it almost gave the movie an uneven pacing. 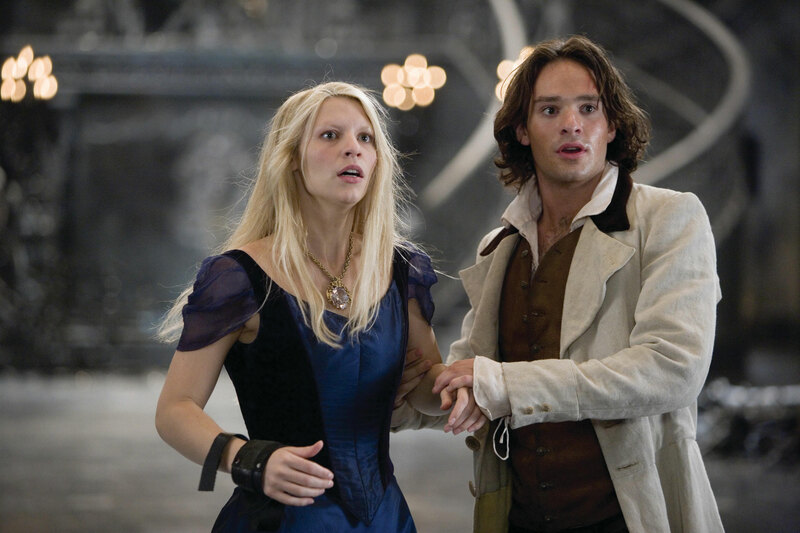 But despite the movie’s disappointing finale and Harris’ editing, “STARDUST” proved to be a very entertaining movie. Using a first-class cast and an excellent script, director Matthew Vaughn managed to pay a proper homage to Neil Gaiman’s novella. He also proved at the time that his debut as a director (“LAYER CAKE”) was more than just a fluke.